This refreshing summer dessert combines fresh juicy fruits with a citrus cream and crisp, sugary pastry wafer. 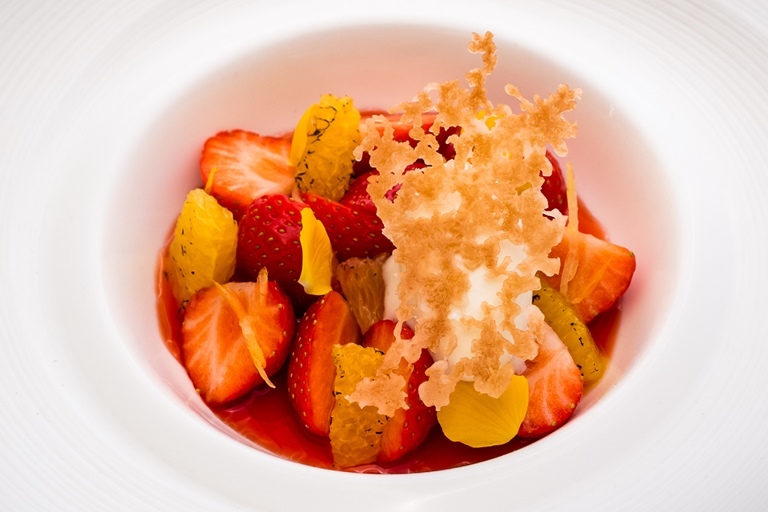 Sweet strawberries are the hero of Graham Hornigold's dish, served both fresh and as a cool, clear, strawberry soup that is balanced by the citrus tang of orange. All elements can be prepared in advance, so this makes a great dinner party recipe.